A gentle semi-autobiographical novel about the author’s childhood in Coronel Pringles, Argentina; the book recalls Peronism and the invention of a provincial middle class, juxtaposing portraits of eccentric neighbours with meditations on how complex social reality is refracted through a child’s eyes. A delightful fictional memoir about César Aira’s small hometown. The narrator, born the same year and now living in the same great city (Buenos Aires) as César Aira, could be the author himself. Beginning with his parents—an enigmatic handsome black father who gathered linden flowers for his sleep-inducing tea and an irrational, crippled mother of European descent—the narrator catalogs memories of his childhood: his friends, his peculiar first job, his many gossiping neighbors, and the landscape and architecture of the provinces. The Linden Tree beautifully brings back to life that period in Argentina when the poor, under the guiding hand of Eva Perón, aspired to a newly created middle class. As it moves from anecdote to anecdote, this charming short novella—touching, funny, and sometimes surreal—invites the reader to visit the source of Aira’s extraordinary imagination. 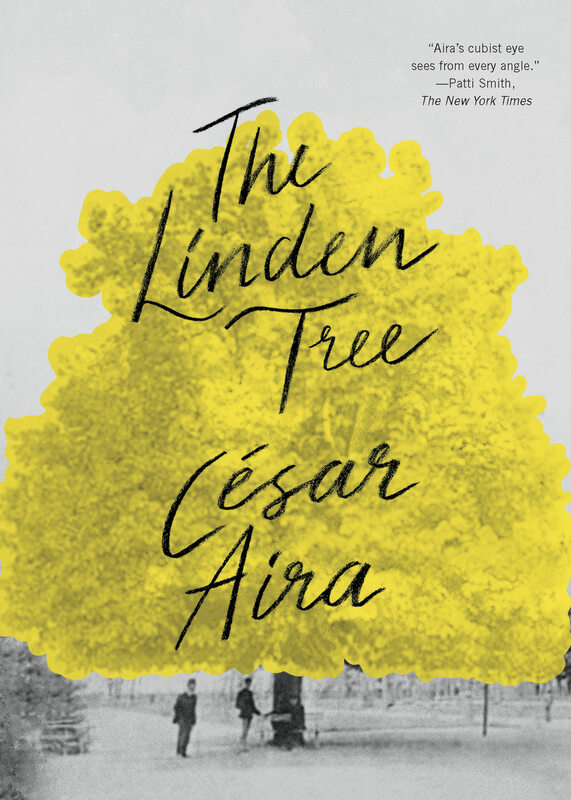 Aira’s work is varied and extensive, but The Linden Tree may be one of its best points of entry, affirming the existence of a Latin American literature that refuses to conform to the conventions and stereotypes of magical realism, social realism or other clichés about fiction from this part of the globe. In this novella, which teases readers with suggestions of the autobiographical, Aira has one eye on his country’s past and the social effects of Juan Perón’s regime…Although comprised of what can seem like individually minor creations, Aira’s project is no less ambitious than Proust’s, and for those of his fans who cannot read his work in Spanish, the arrival of each new title is a bittersweet occasion. It has taken 14 years for this book to reach us in English, and that is too long to wait. We want more, and we want it yesterday. An ethereal ramble through the sweet haze of nostalgia by the prolific Argentinean writer Aira. When is memory not true? If we can only live our lives in one direction, how can we ever learn from our future? These are the heady ideas Aira seals firmly in a fictional memoir that finds him sauntering through the past of a man nearly exactly like him… A funny, sardonic, and richly emotional journey through one man’s interior experience.